AxialOne leverages a combination of High Throughput Satellites (HTS) and Wide Beams to provide a broad global coverage area with seamless roaming. 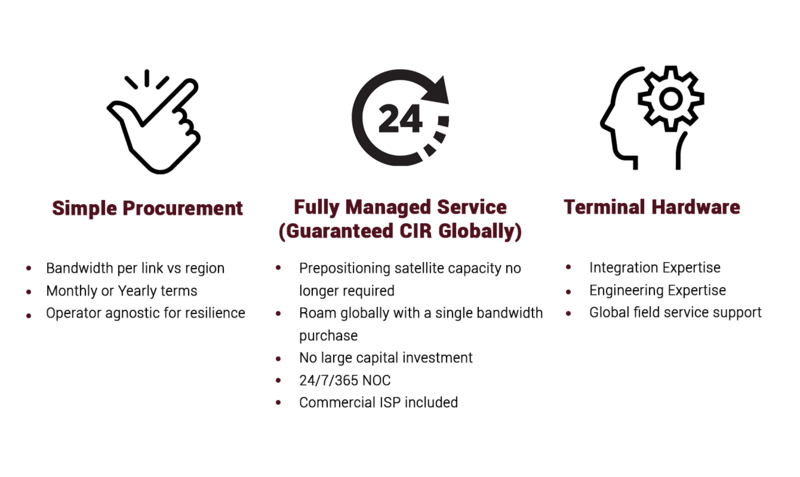 AxialOne provides for a true, non-contention based Committed Information Rate (CIR) along with direct, high-speed Internet connectivity. 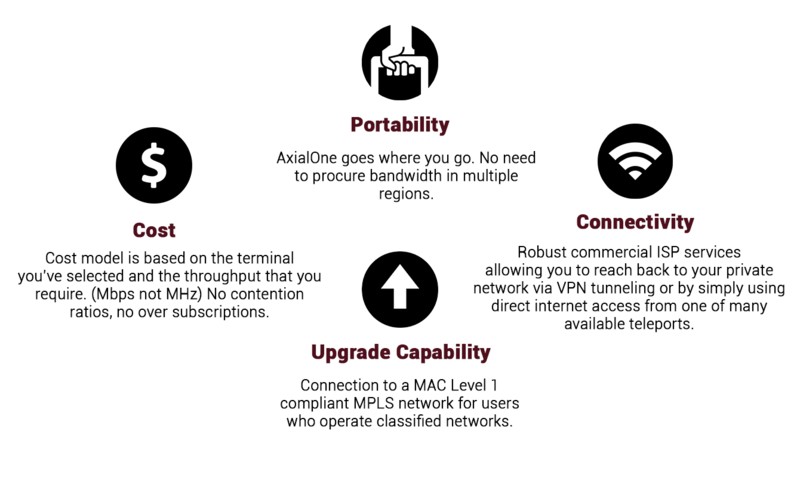 Unlike other bandwidth services, AxialOne is uniquely designed to allow the user to purchase global bandwidth at a regional price point. The seamless global network allows AxialOne users to roam worldwide and provides significant benefits, both in the lower ongoing cost for a global network and in reduced purchasing complexity. Combining the global bandwidth capacity of AxialOne with an easy to understand fixed pricing schedule based on the terminal type results in significant recurring cost savings over traditional solutions. AxialOne is operationally managed from CopaSAT’s 24/7/365 Network Operations Center (NOC) in Tampa, Florida.